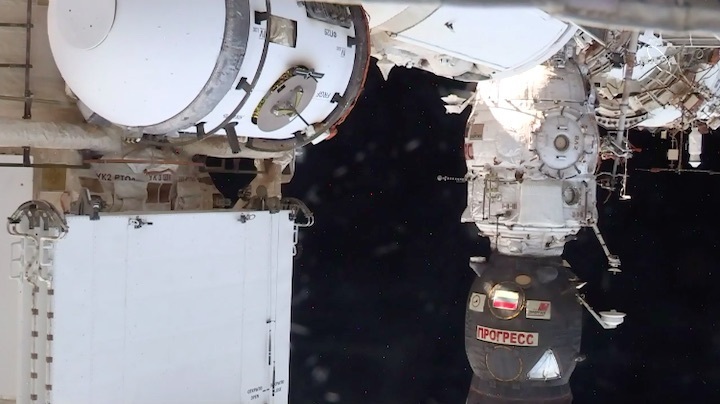 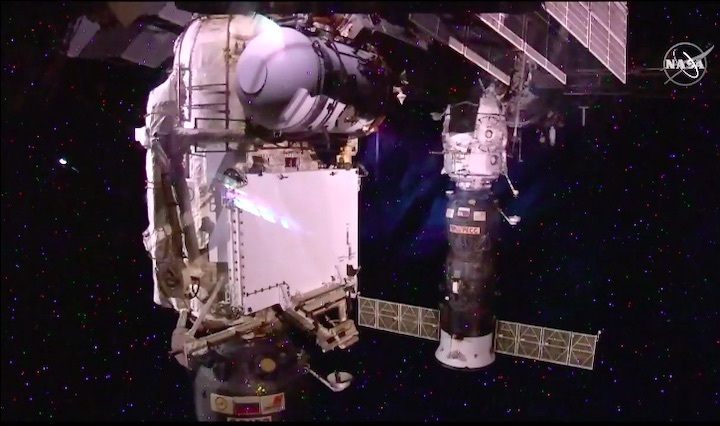 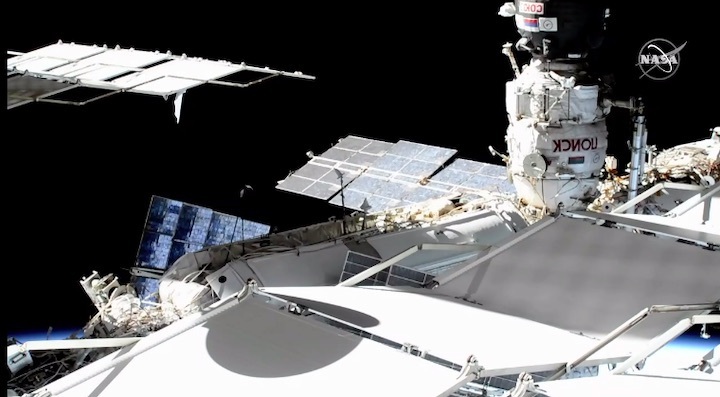 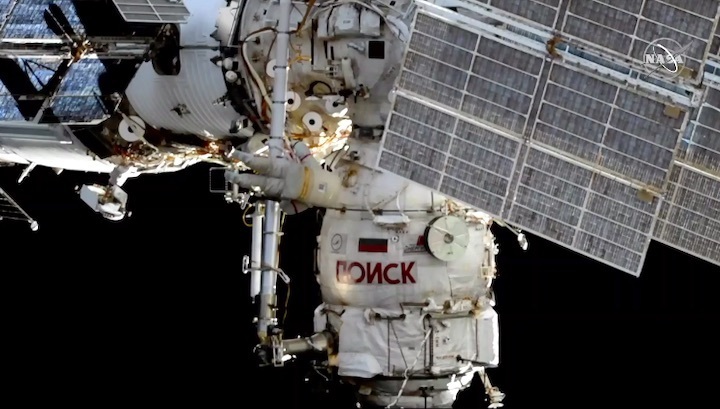 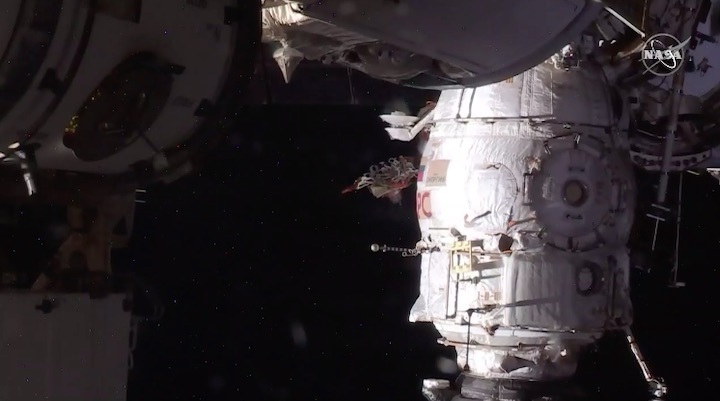 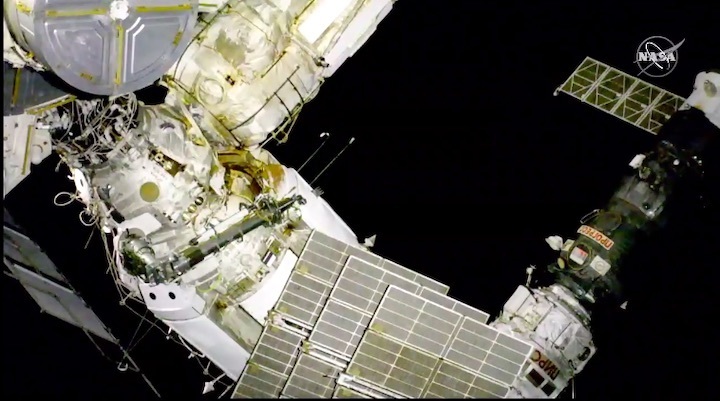 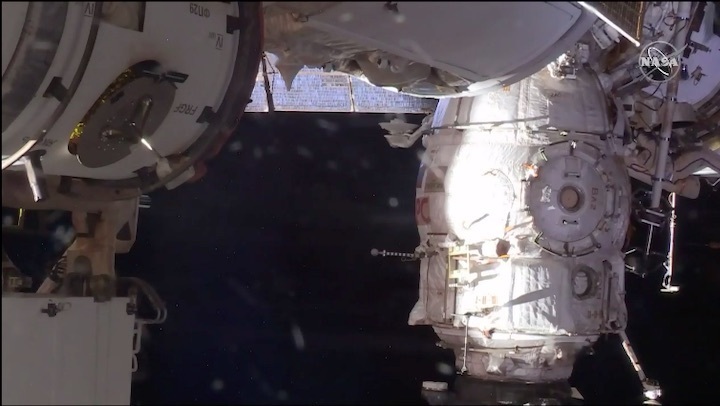 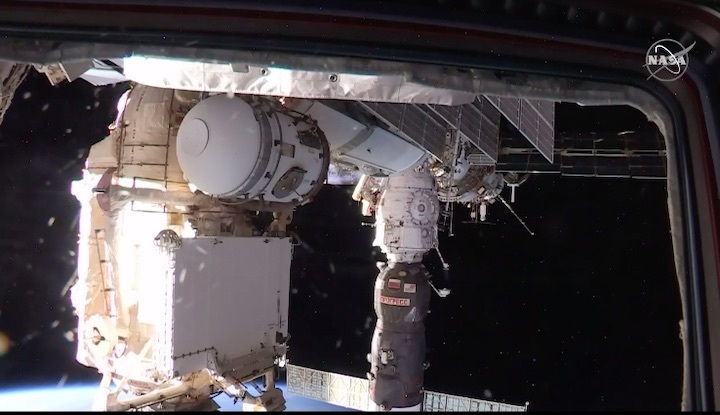 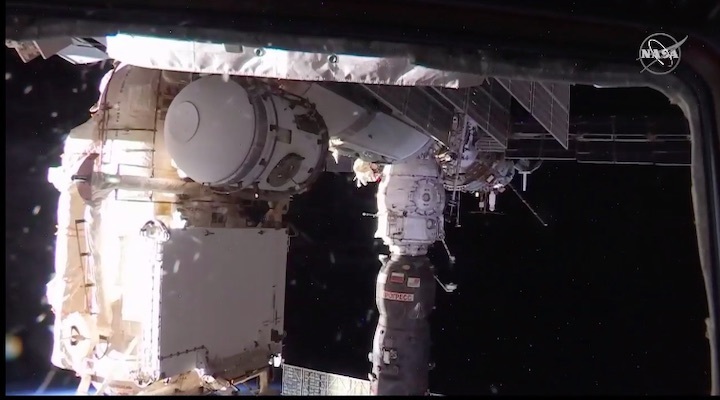 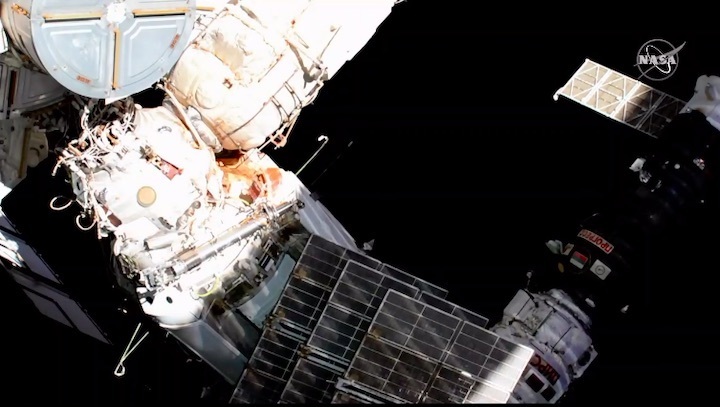 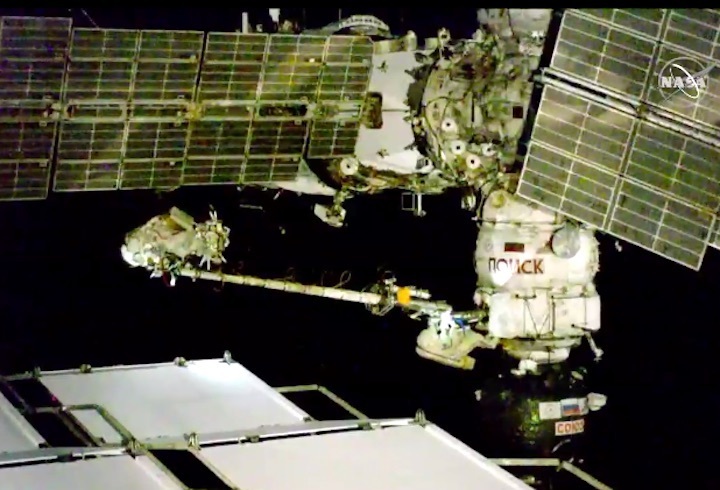 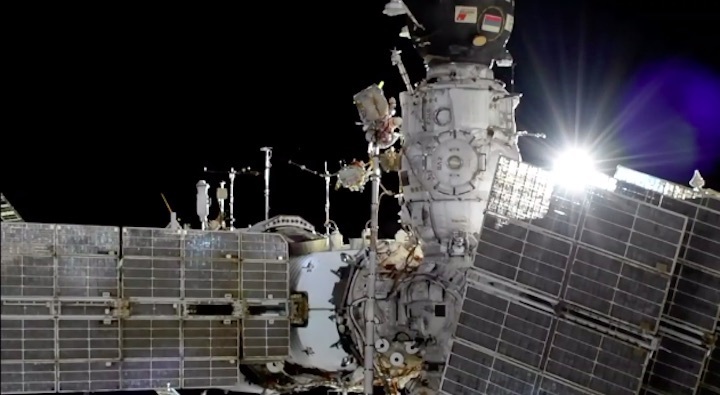 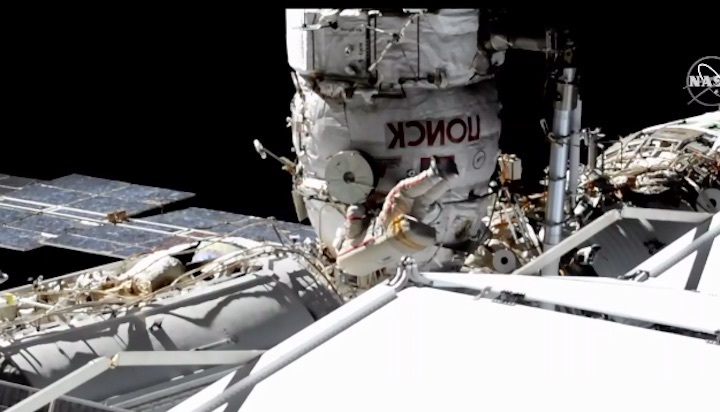 The two astronauts will spend six hours examining and repairing a tiny hole that roiled space relations between the United States and Russia. 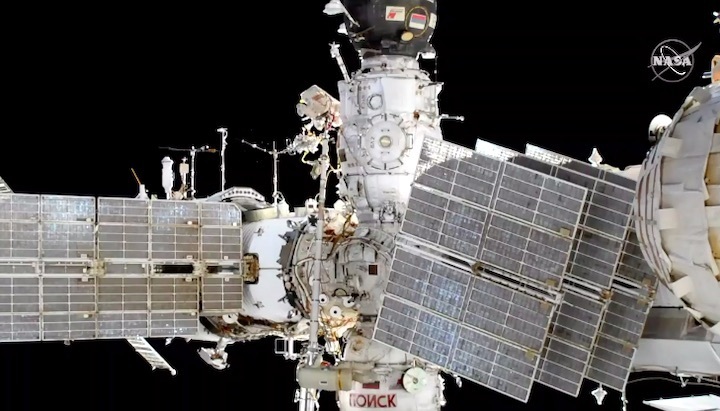 On Tuesday, Russian astronauts hope to gather clues in a whodunit at the International Space Station. 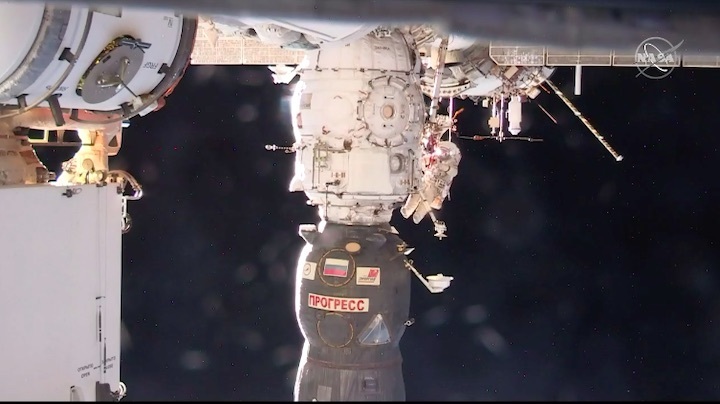 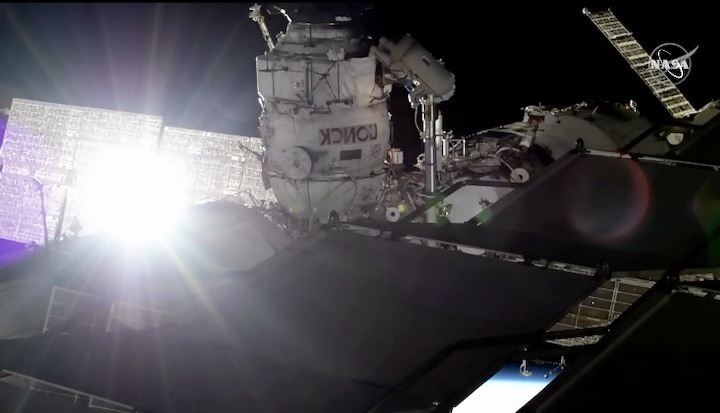 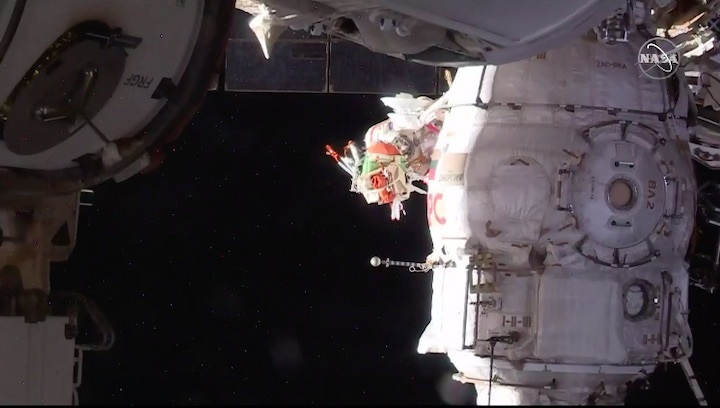 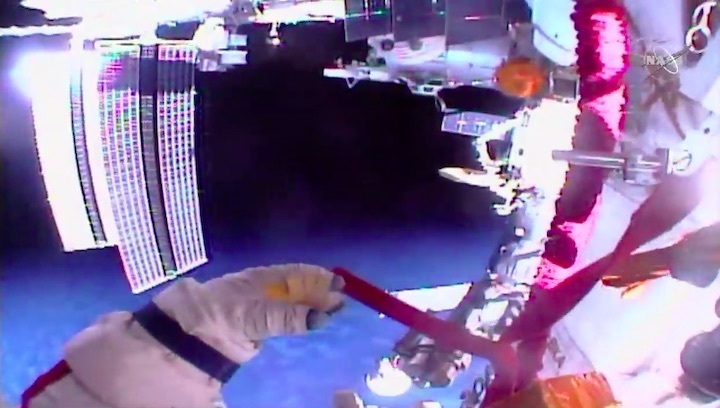 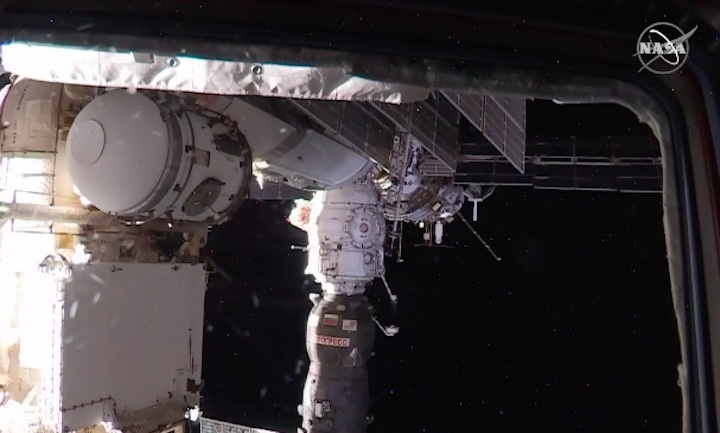 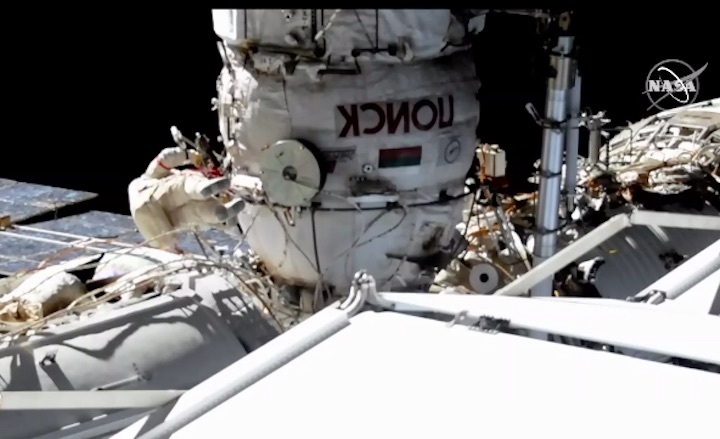 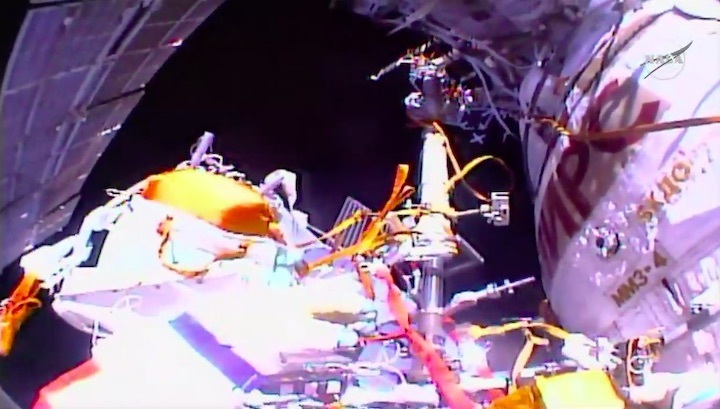 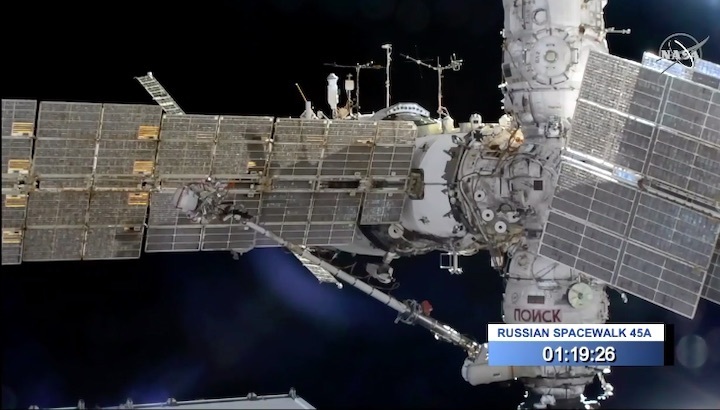 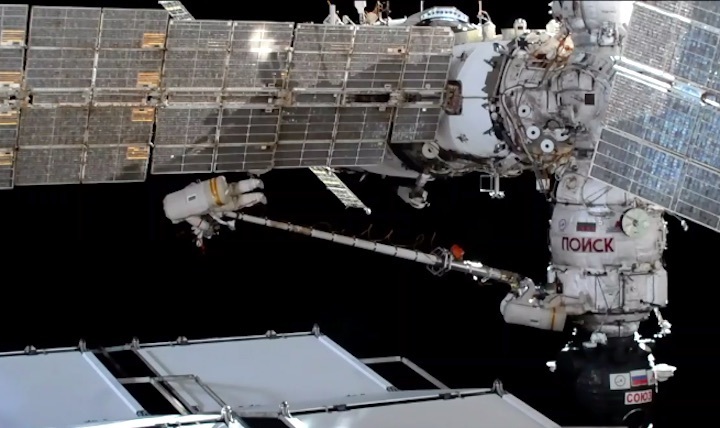 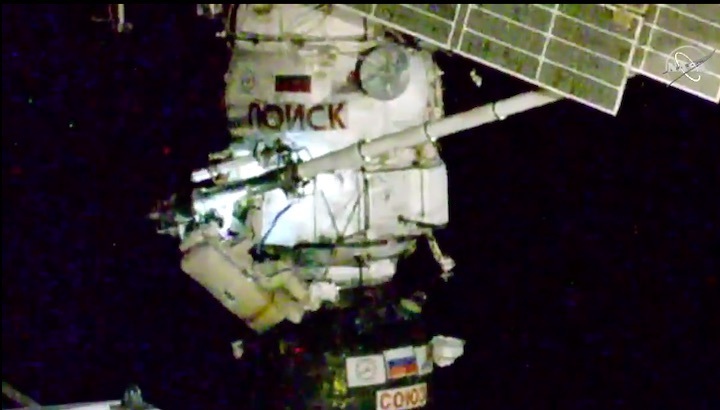 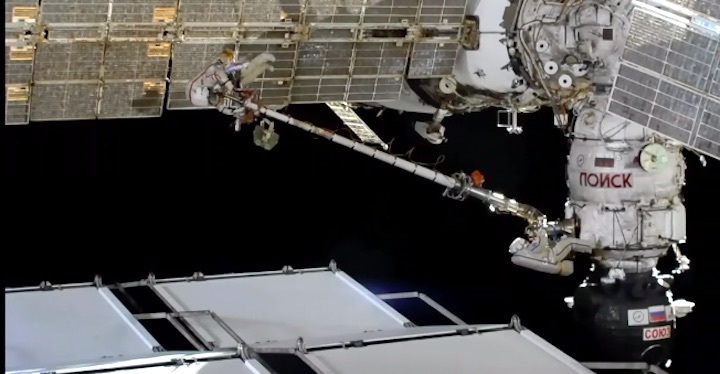 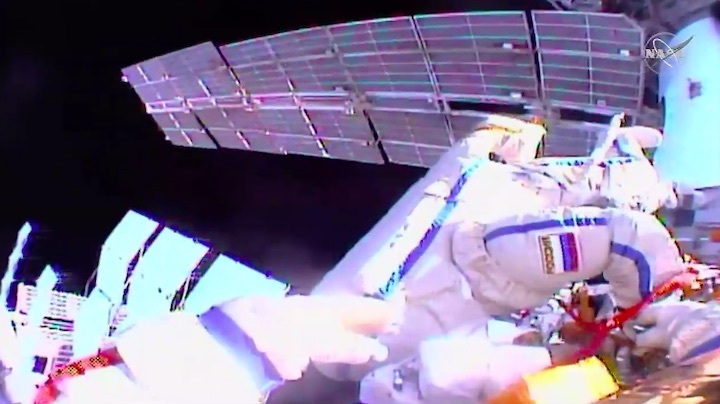 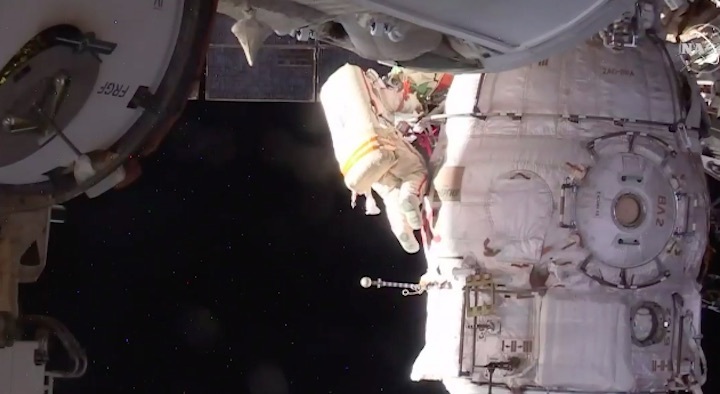 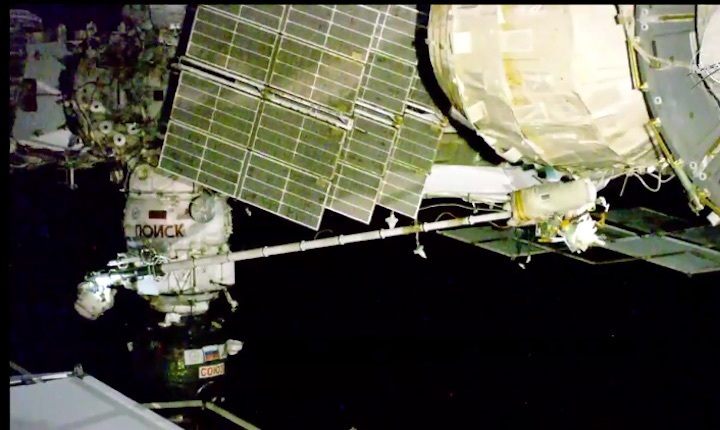 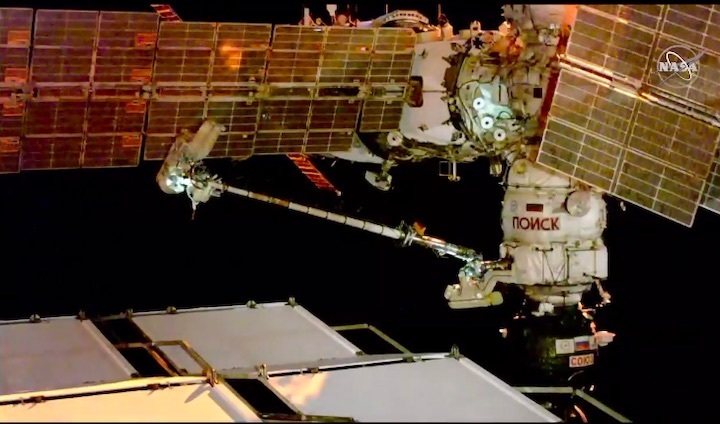 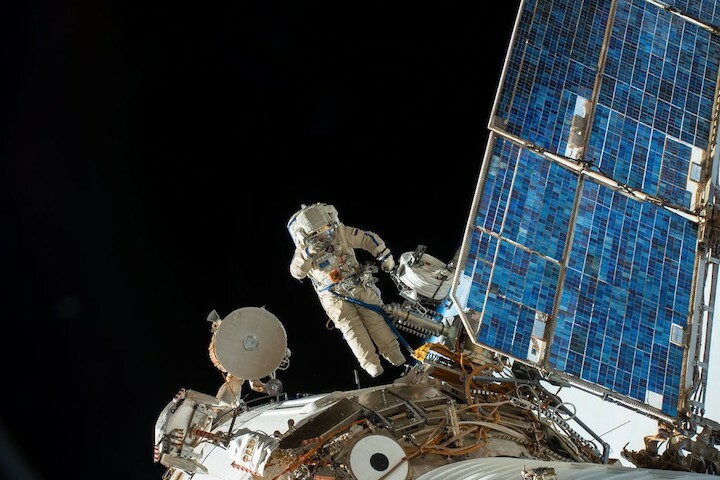 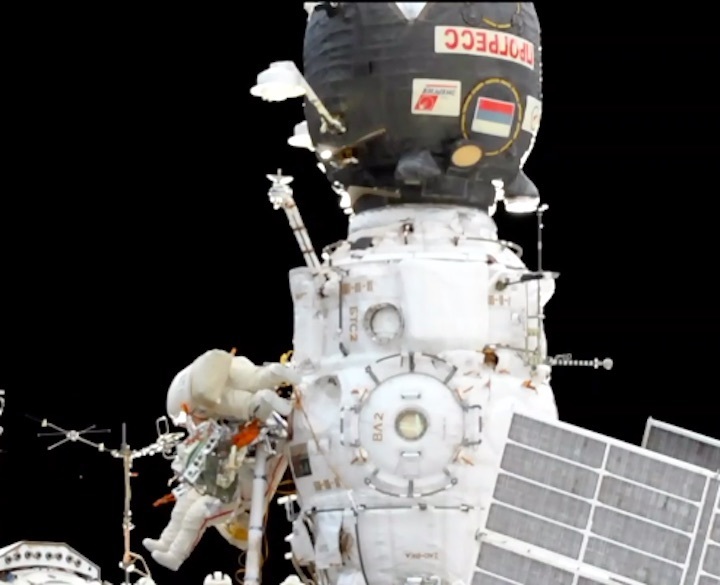 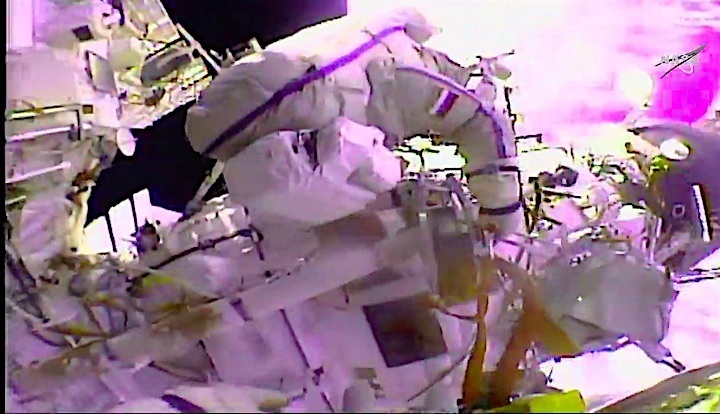 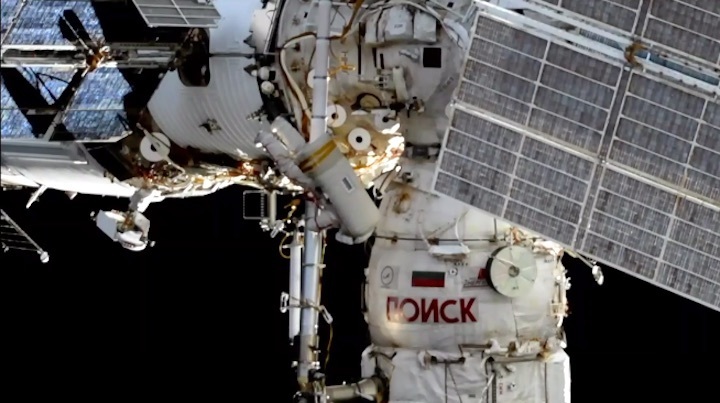 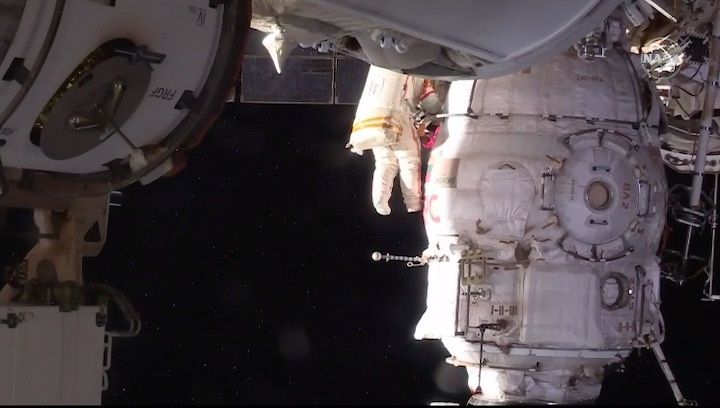 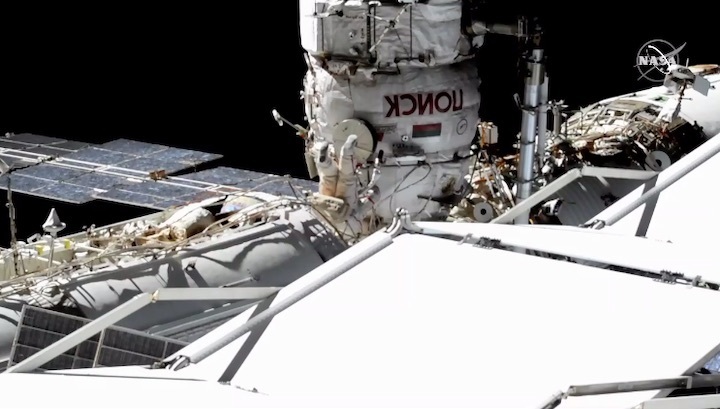 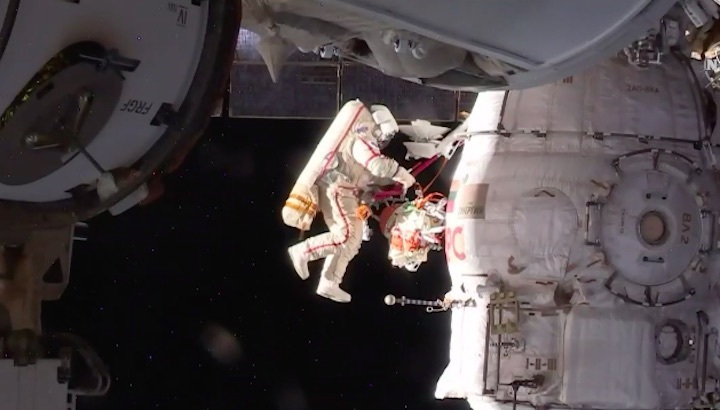 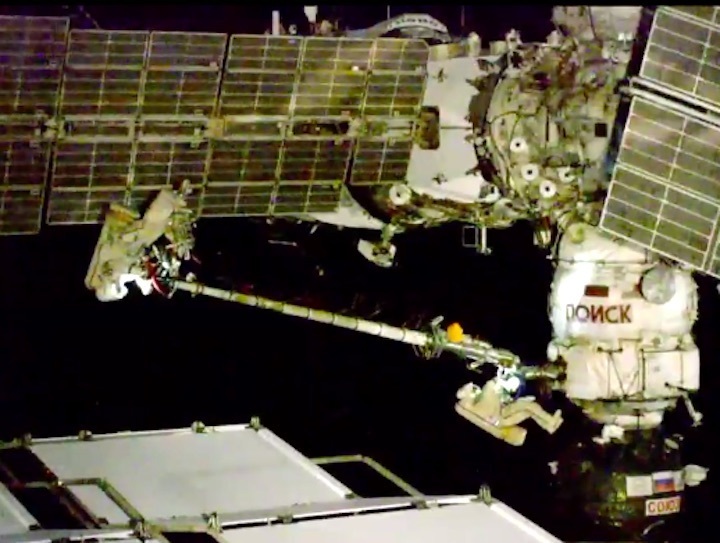 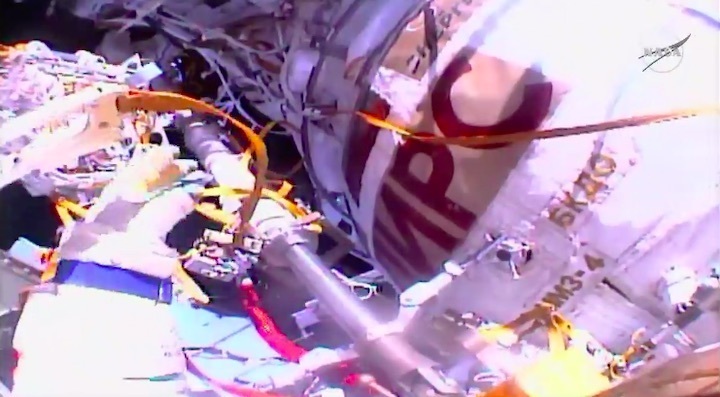 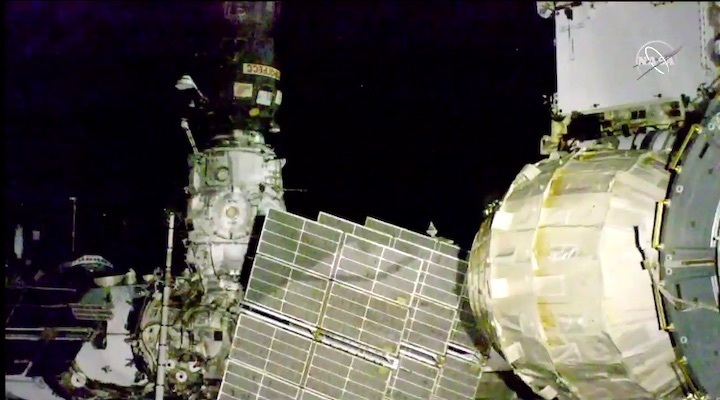 The astronauts, Oleg Kononenko and Sergey Prokopyev, are to conduct a spacewalk to examine the outside of a Soyuz capsule currently docked at the space station and used for transporting astronauts. 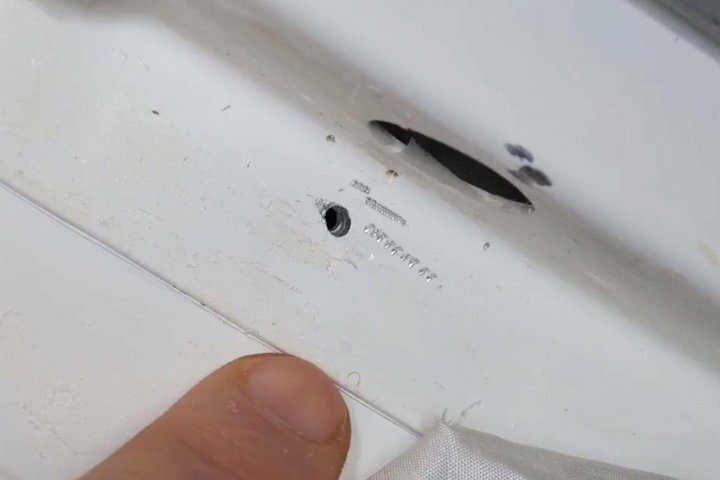 They, as well as officials at NASA and the Russian space agency, want to know why there is a hole in the Soyuz. 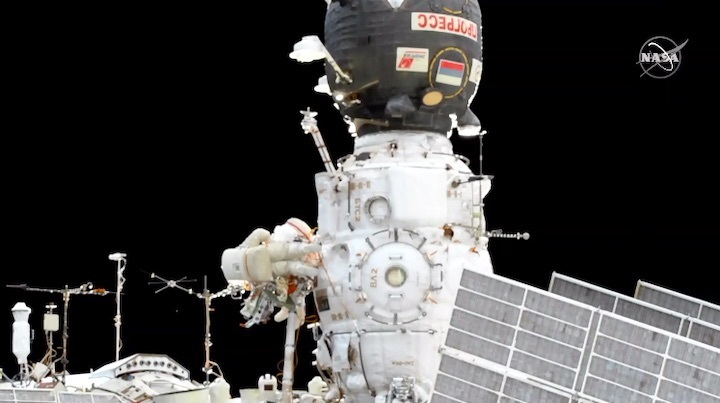 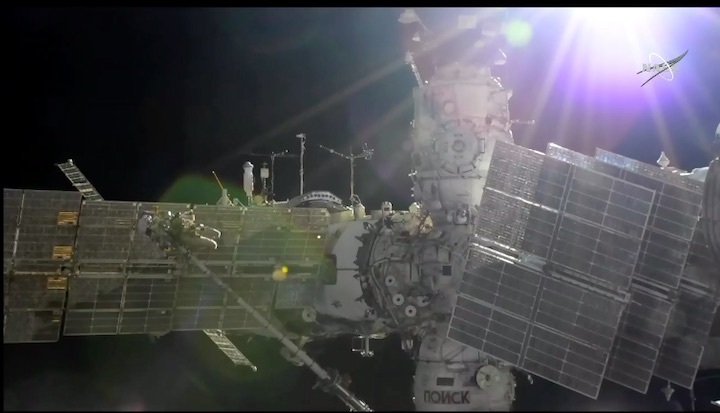 That small cavity roiled space relations between the United States and Russia this summer, leading to speculation in Russian media about an act of sabotage aboard the station. 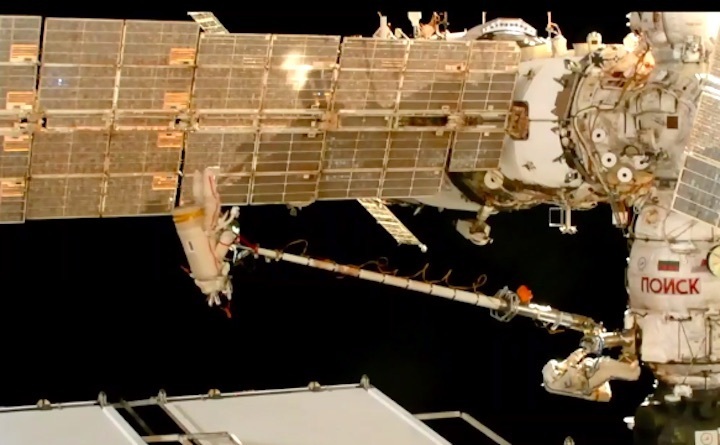 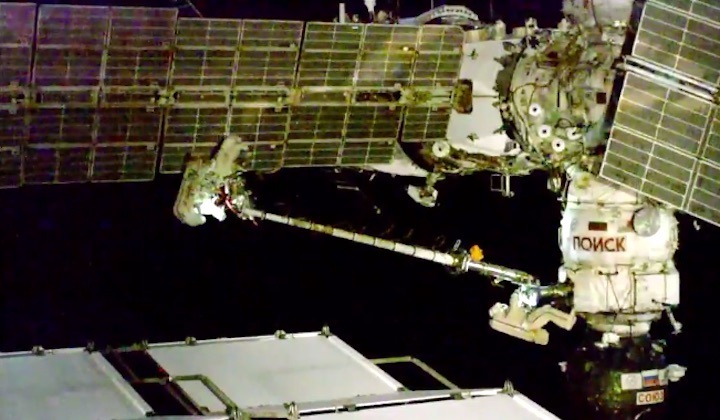 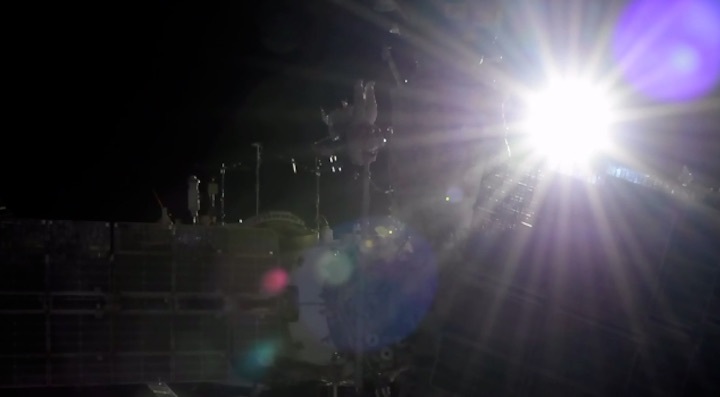 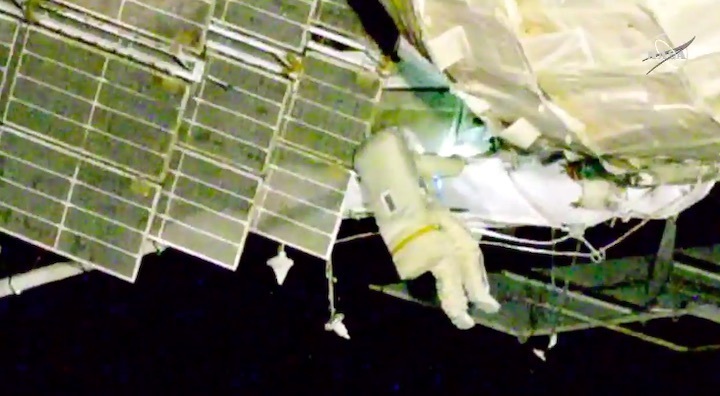 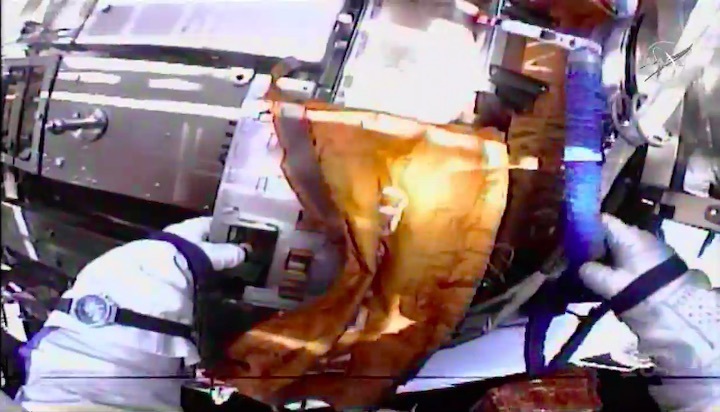 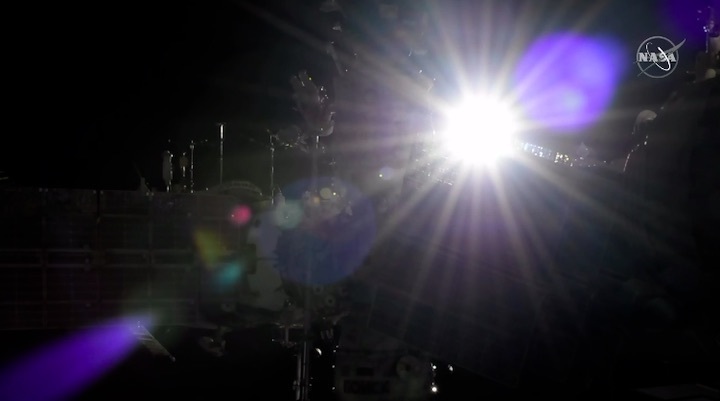 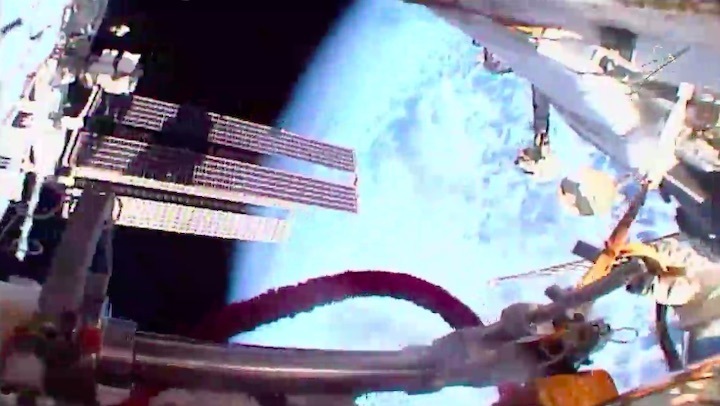 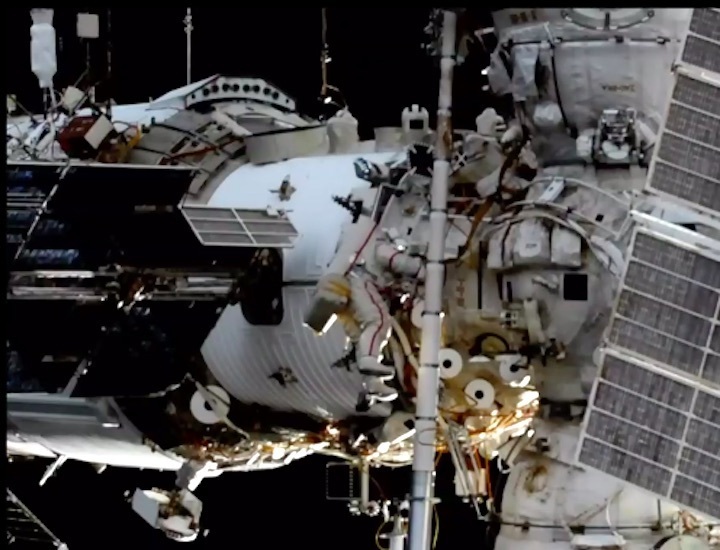 On Aug. 29, instruments on the space station noted a slight drop in air pressure. 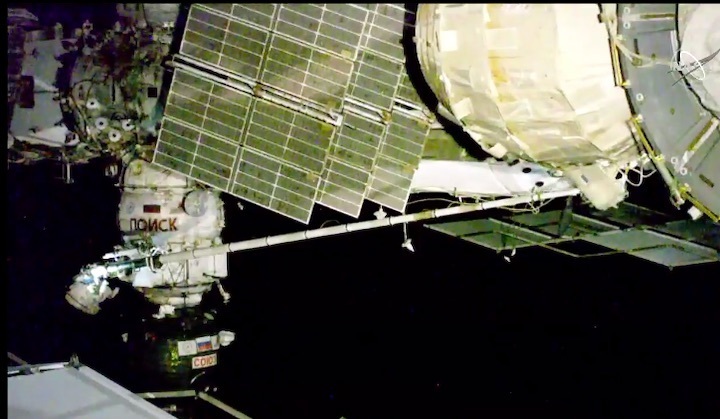 It was not an immediate risk to the crew of six astronauts, who were asleep at the time. 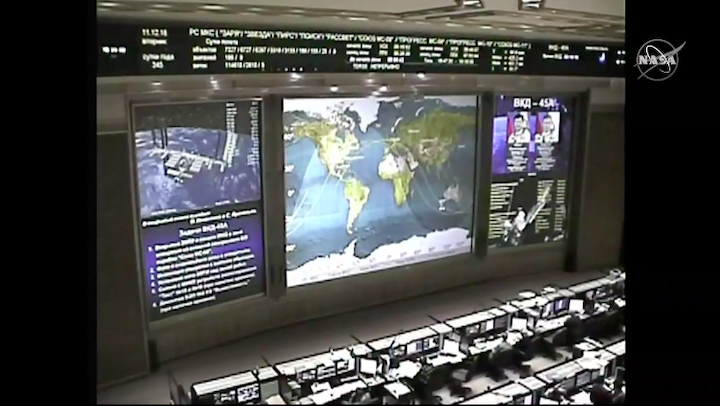 Flight controllers on the ground did not even wake them up. 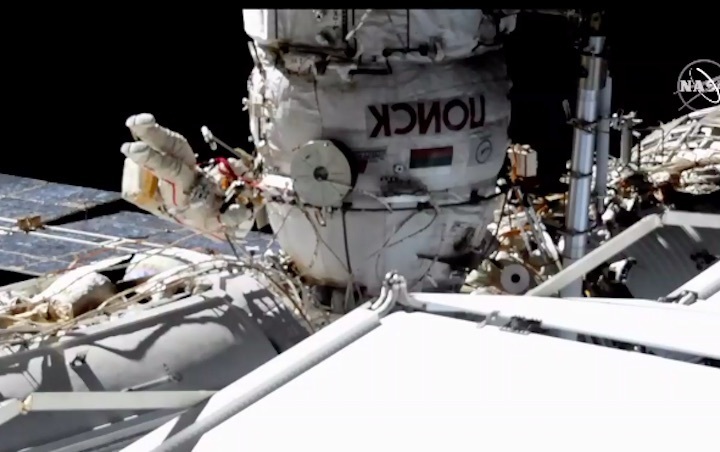 During the spacewalk, the Russian astronauts will take pictures of the hole and look for residues that may help solve the mystery. 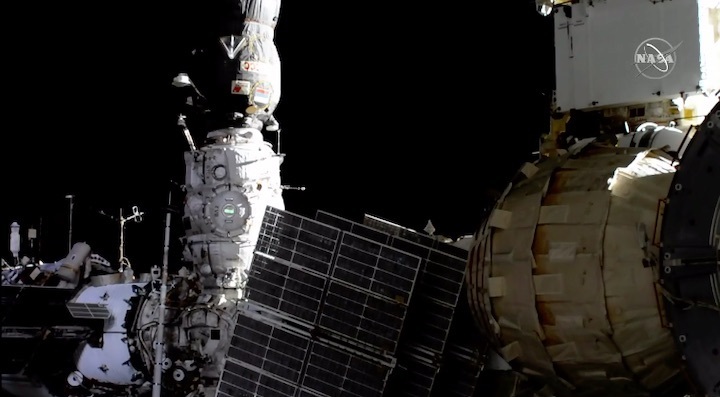 The Soyuz spacecraft will return to Earth later this month. 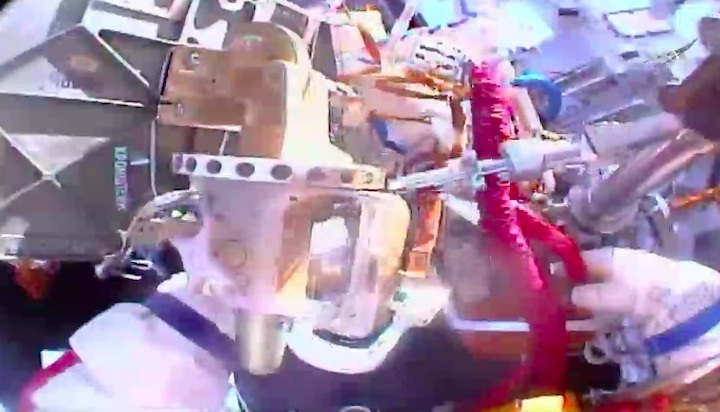 The hole will pose no danger to the descending astronauts. 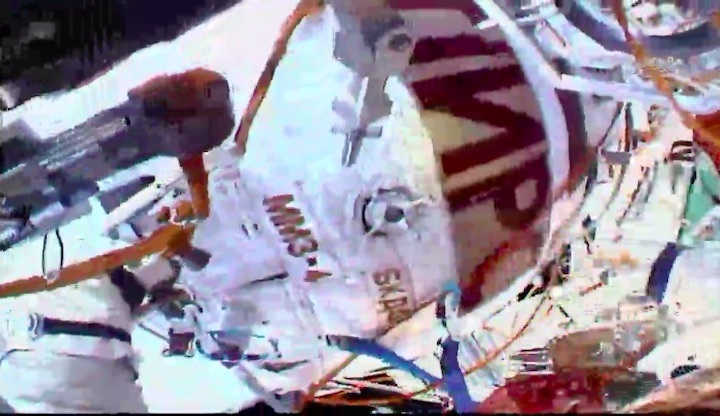 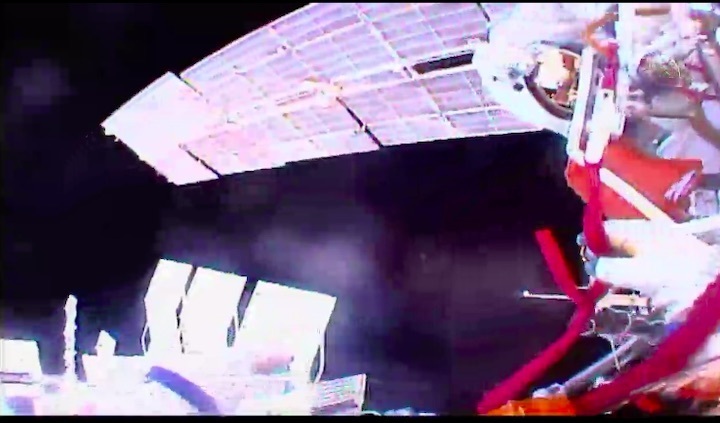 The damage is in an upper portion of the spacecraft that will be discarded before re-entry.